Isn’t it shattering when you gain weight suddenly? Your favorite pair of jeans won’t fit you anymore, and it becomes hard to find your jawline in selfies! You wonder what went wrong even after you were careful about your diet. Don’t worry, we have done the research for you, and here is what we found. The World Health Organization states that we tend to gain weight when there is an energy imbalance between the calories we consume and the calories we expend (1). 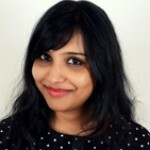 In this article, we list out 20 reasons for weight gain and how to tackle the problem with ease. So, saddle up to unlock the mystery of your weight gain and put an end to that story NOW! 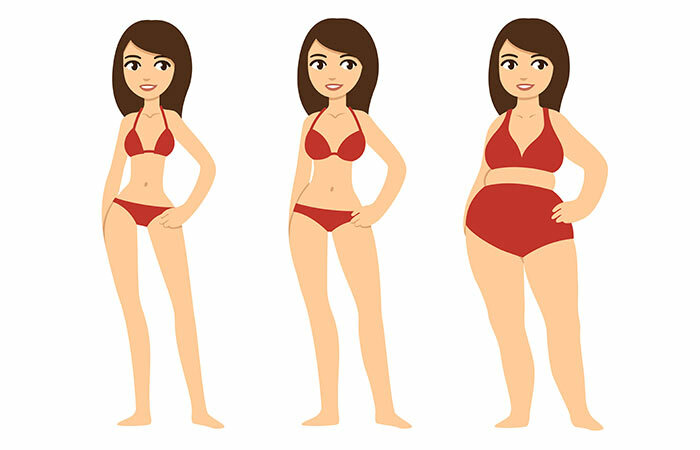 Body type plays a vital role when it comes to weight gain. Those who have a mesomorphic body type tend to gain weight quickly, but they also lose weight faster. However, the worst victims are those with endomorphic body type. Endomorphs tend to gain weight quickly and need to work real hard to lose the same. Solution – If you have an endomorphic body type, workout regularly and eat a lot of green leafy veggies. According to the WHO, globally 350 million people of all ages suffer from depression (2). Depression is a real world problem and is the leading for weight gain in many people (3). Also, the antidepressants can cause weight gain too (4). Solution – Depression can only be treated when you want to get better. Push yourself to do what you like and things that make you happy. Working out is the best way to treat depression without taking anti-depressants. Start playing a sport, join arts and crafts classes, and travel. If you don’t have a friend to confide in, you can record your feelings in a diary or a book. This will take pressure off your shoulder. 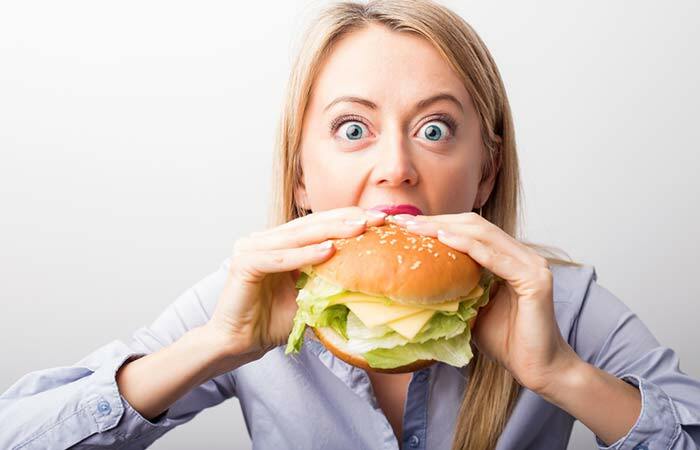 Stress leads to emotional eating which ultimately results in weight gain. 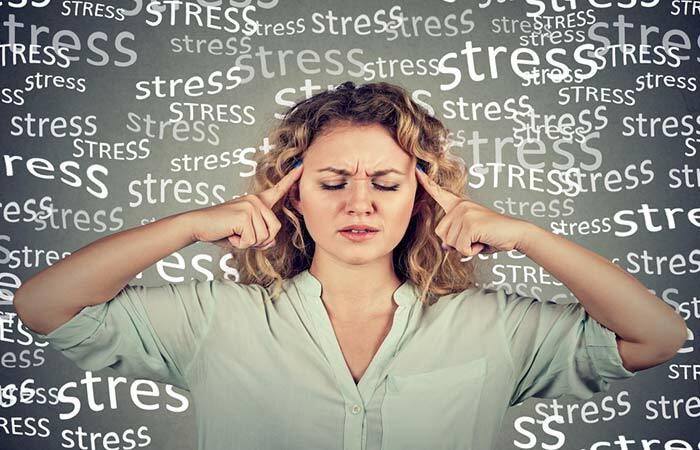 Be it stress at work or home; stress induces the secretion of the cortisol hormone, which increases appetite (5). An increased appetite will make you choose junk and comfort food over healthy foods. Solution – To manage stress you can try meditation, yoga, Chinese medicines, acupuncture, aromatherapy, and cognitive behavioral therapy. Depending on the severity of the situation, your doctor may also suggest medication. The thyroid plays an important role in growth and metabolism. It produces three hormones, T3, T4, and calcitonin. T3 and T4 are actual thyroid hormones, and when these hormones are produced less, it leads to the condition hypothyroidism. 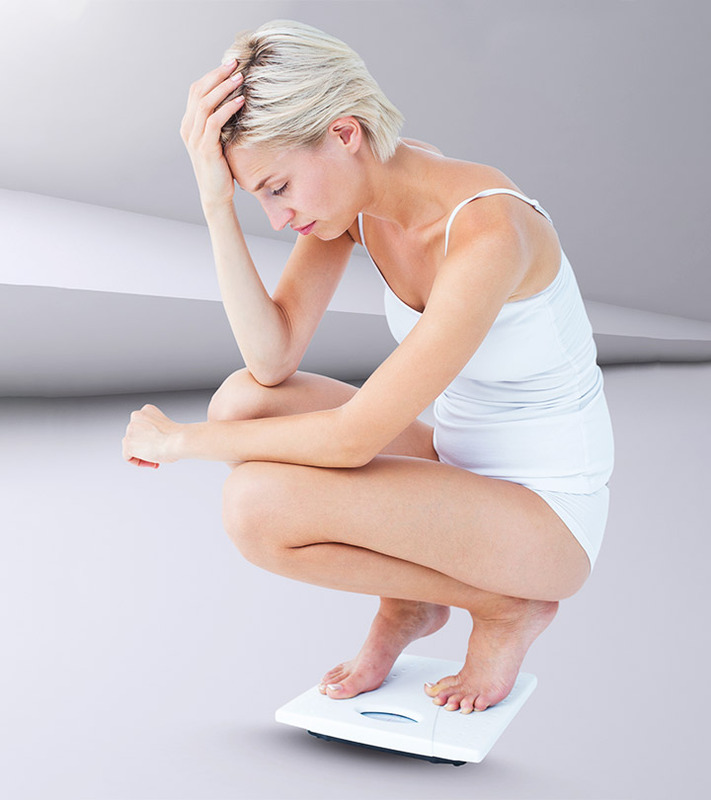 Hypothyroidism is characterized by weight gain as the metabolism slows down (6). So if you have suddenly gained weight, you should get your thyroid test done immediately. 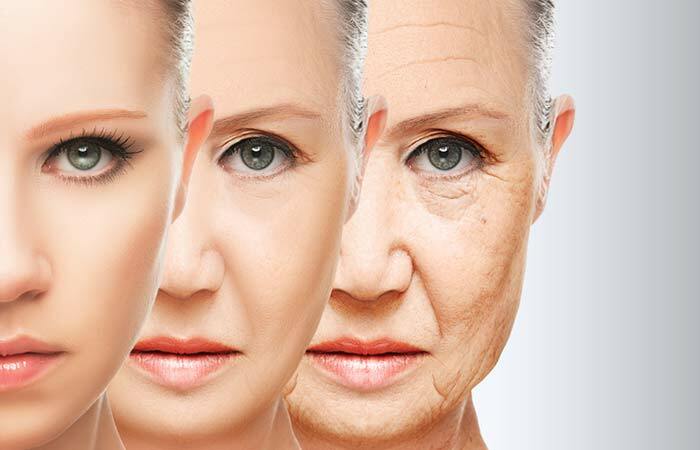 Solution – This condition can be treated by taking hormone replacement medicine, levothyroxine. You can also try simple home remedies such as consuming fewer simple carbs, consuming less salt, and drinking fenugreek soaked water. Unhealthy foods contain high sodium, artificial food color, trans fats, and are high in carbs. Though it tastes good, it puts your health at risk of being overweight, developing heart disease, diabetes, and cancer. Eating out almost every day or eating processed food is another reason why you gain weight quickly. Solution – Prepare your meals at home at least five days a week. You can chop the veggies on weekdays and store them in zip lock bags. You should also avoid buying any food items that contain high salt, simple carbs, and processed foods from the supermarket. Buy lean meat such as chicken breast, ground turkey, and fish. Eat multigrain bread, wheat pasta and noodle, quinoa, celery, broccoli, eggs, herbs, cinnamon, black pepper, citrus fruits, green leafy veggies, almonds, fish oil, tofu, olive oil, fat-free milk, soy milk, lentils, and dark chocolate. My friends often tell me how they are struggling to lose weight even after eating healthy. The problem is they do not control the portion size. 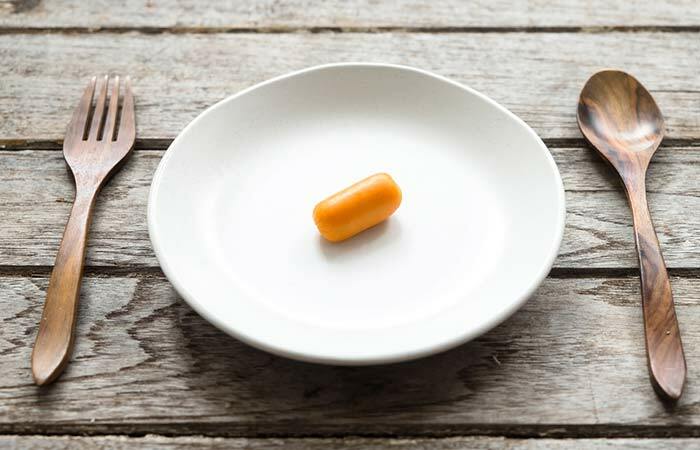 To lose weight you have to control the portion size. Eating too much food and not expending the energy again causes the energy imbalance and therefore you gain weight. 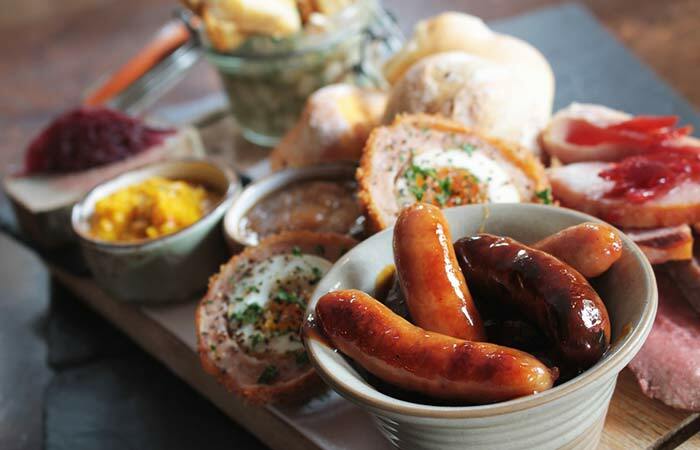 Solution – Take a portion size as big as your palm. Half of your plate should contain veggies, the third quarter of your plate should have lean protein, and the rest of the plate should contain complex carbs and fiber rich foods. You can have 3-4 servings of veggies and fruits every day. Consume 4-6 soaked almonds in the morning. Nuts provide energy that lasts through the day. Technology has made us all lazy. We seldom get up from the couch or bed if a computer or TV is in front of us. Even kids prefer Xbox or PlayStation over playing outdoor games. This probably is the reason why many youngsters are falling prey to lifestyle diseases. Without allowing your body to use the energy you consume, you will gain weight and will find it quite tough to lose the fat. Solution – Play outdoor games, go for Zumba or any other dance class, take a break from your work every hour to walk around, cycle or walk to the office, and go on hikes. A lot of medicines we have comes with side effects. Weight gain is one of them. 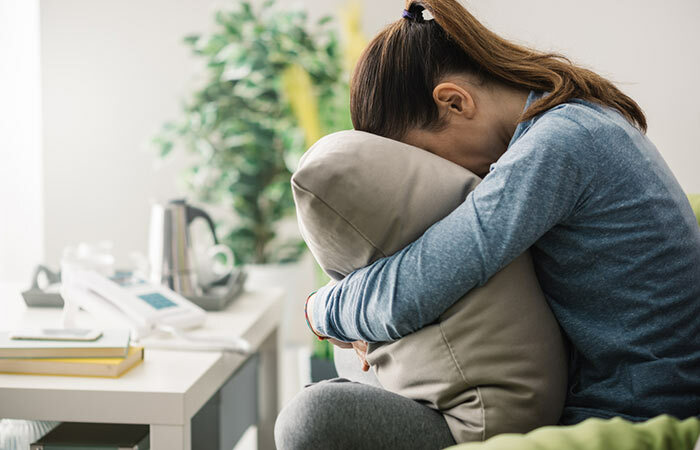 Medications for treating depression, migraine, steroids, allergy, Type II Diabetes, blood pressure, birth control, and seizure can cause sudden weight gain. 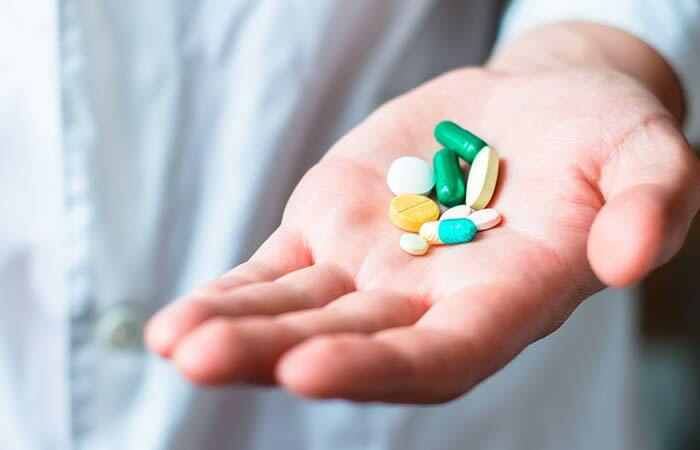 Solution – Talk to your doctor to know if there are other drugs in the market that won’t affect your weight much as compared to the presently prescribed medicine. Join a gym, take steam, eat healthily, and get proper rest. Menopause brings down estrogen levels in your body. Lower the estrogen levels slower the metabolic rate. The body fails to use up starch and sugar as energy. And this gets stored in the body, especially the mid-body region, as fat (7). Solution – You can take doctor-prescribed estrogen tablets, drink green tea, exercise and keep yourself active. Include kidney beans and black-eyed peas in your diet, use cinnamon and black pepper for flavor, and get at least seven hours of sleep. The cure for a lot of diseases lies in the gut. If you are suffering from gut problems, you will gain weight. It can be due to consumption of unhealthy food, overeating, not drinking enough water, high alcohol consumption, or lack of good gut bacteria. Solution – Include yogurt, buttermilk, probiotic drinks, ginger, high fiber foods, fresh fruit juices, and detox drinks. Make it a habit of drinking at least 1 cup of warm water as soon as you wake up in the morning. Also, drink 3-4 liters of water every day. This will help in proper bowel movement. During pregnancy, women tend to undergo a lot of changes hormonally and physically. The cravings are tough to control. Moreover, women are advised to eat as much as they can as they are eating for two! Women also tend to gain more weight during the last (third) trimester. A few women lose weight during breastfeeding while others don’t. In fact, gaining so much weight suddenly can cause complications in the pregnancy. Moreover, such women also find it hard to lose weight post childbirth. Solution – Talk to your doctor to know exactly how much food you should consume. You can also join yoga classes for pregnant women. Follow these recommended guidelines to prevent weight gain. There are many genes that have been linked to weight gain. Scientists say that family history of obesity is a critical factor for people to have suddenly gained weight or are at the risk of gaining weight. However, the environment plays a key role too. If a family follows unhealthy eating habits and leads a sedentary lifestyle, the next generation would also probably do the same. And that could be the reason for weight gain. 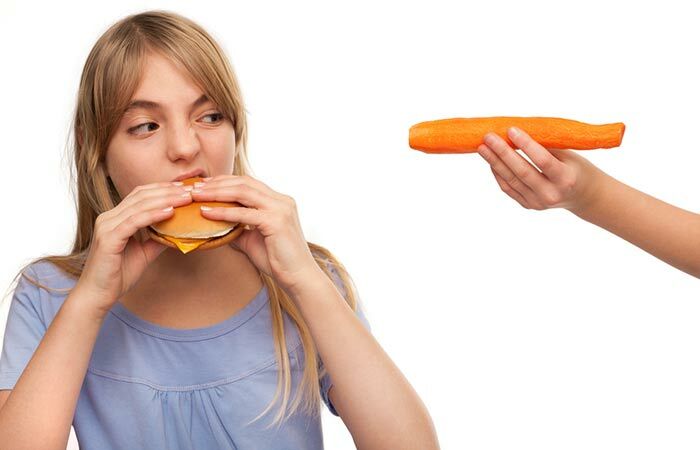 Solution – Completely avoid eating junk food, eatables are high in sodium, trans fat, fried and greasy. Also, start working out. Weigh yourself every 1-2 months to keep a check on your weight. You can have one cheat day per week. Women start losing muscle mass soon as they reach 30. Muscle loss slows down metabolism. 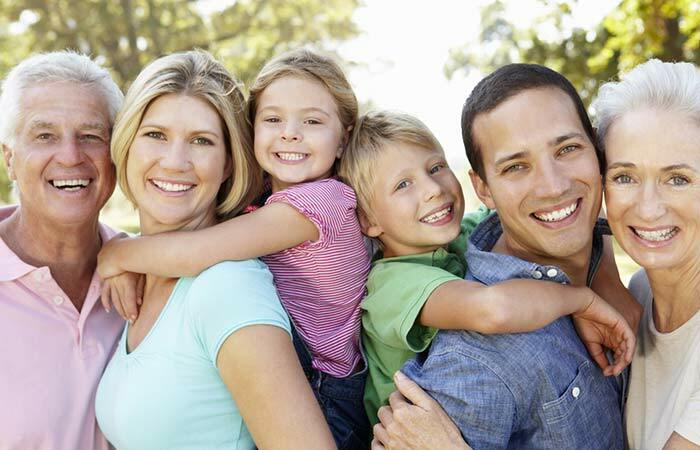 Levels of hormones such as thyroid, estrogen, progesterone, and testosterone also decline. There is also less activity and more stress as we age which contributes to weight gain. Solution – Do not stop working out. Join a gym today and do a mix of cardio and resistance training. It will help build muscle mass and maintain hormonal balance. Listening to music and meditate to de-stress. Also, include fat-free milk, spinach, lean protein, healthy fats, and complex carbs in your diet. Alcohol is also one of the biggest contributors to excess fat. Alcohol gets broken down to sugar molecules in the body. When there is no physical activity, this sugar gets converted to fat, which is stored in various parts of our body. 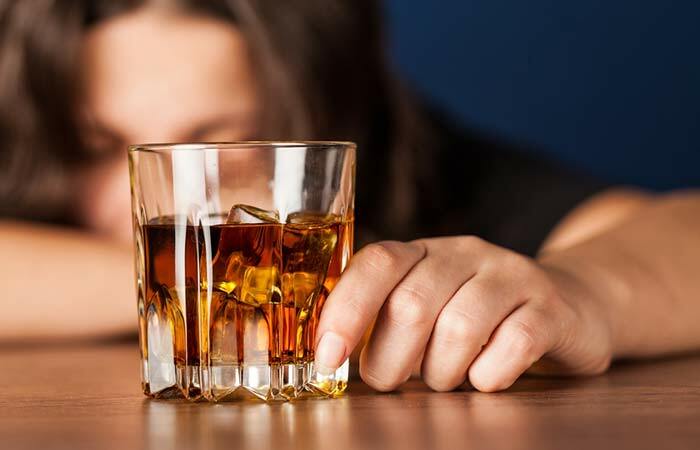 Binge drinking leads to fat deposition in the liver which causes fatty liver. Solution – Cut down your alcohol intake. Avoid hanging around with people who regularly drink or those who encourage excess alcohol consumption. It may sound harsh, but you must make health a priority. Of course, you can continue to attend parties, but your alcohol intake must not exceed two drinks. Sip it slow to prevent consuming more. Scientists have found that sleep deprivation can cause weight gain. Since sleep modulates glucose metabolism and neuroendocrine function, sleep deprivation leads to decreased insulin sensitivity and glucose tolerance. It also decreases leptin which results in increased hunger and appetite (8). Solution – Ensure there’s gap of at least 2-3 hours between your dinner and bed time. Relax by listening to music or reading a novel. Put all your worries away and sleep comfortably in a well-made bed. Sleep at least 7 hours to give your body proper rest. Wake up early, so you get the time to workout and eat a substantial breakfast before you head out. Crash diets don’t work for most women. The very-low-calorie diets, in turn, lead to weight gain. This is because the body goes into an epidemic mode and starts storing the consumed calories as fat. So basically you will put on weight instead of losing it. Solution – Stop being on crash diets for too long. It not only adds kilos but also leads to many health problems. Eat healthy and workout regularly to lose weight. Not all fats are bad. 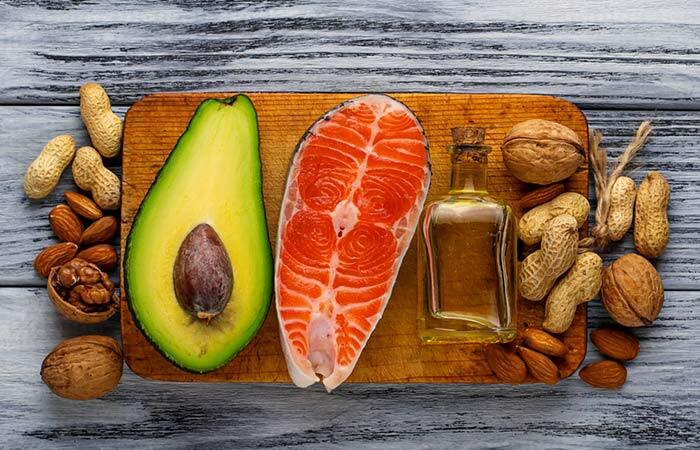 Healthy fats can cut inflammation. This can cause weight gain by decreasing leptin secretion. A reduced leptin causes increased appetite and food cravings and results in weight gain. Solution – Eat almonds, walnuts, macadamia nuts, peanut butter, avocado, fish, and fish oil supplements. 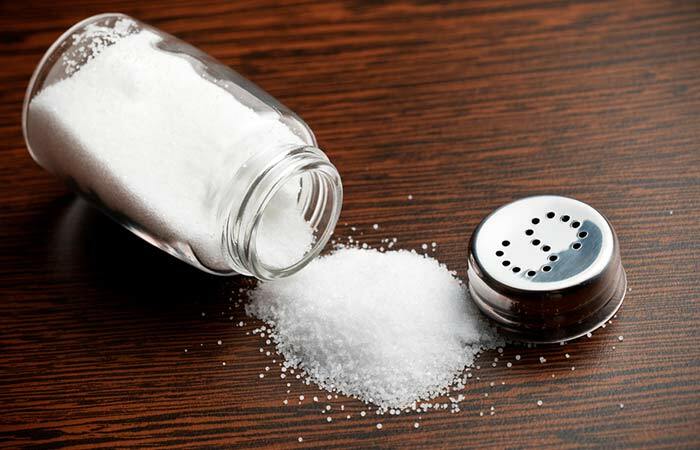 Using too much salt leads to weight gain because of water retention in the body. Consuming too many processed foods, eating out, eating potato wafers, fries, and pickles can lead to water retention and bloating. Solution – Avoid eating out and cut all junk food. Also, use less salt when you cook at home to prevent water retention. Include a flexible workout and diet plan to lose water weight. When you stay up late at night, your food craving kicks in after 2-3 hours. Instead of opting for a healthy snack, you indulge in ice cream or a big bag of potato wafers. The high sugar, high sodium, and trans fats retain water and also get stored as fat. Solution – Sleep within 2-3 hours after dinner. Brush your teeth soon after dinner. How does this help? Well, most people have a tendency to avoid eating after cleaning their teeth. Moreover, you feel too lazy to brush again, and that should be enough reason for you to stay away from food! Last on the list, but this is perhaps the most critical reason for you not losing weight. No matter how much you want to lose weight, unless you are committed to working towards your weight loss goals, it’s impossible to make that happen. You cannot blame diet or environment for your weight gain if you are not determined enough. If you want to lose weight, work hard. Solution – Write your goals down, hire a trainer or workout at home, consult a dietitian or use diet software available for free, download a health app for guidance, talk to your friends who regularly workout, play a sport, and be active. I am sure you found your reason(s) for your weight loss failure in the list above. If not, I highly recommend that you talk to your doctor about your weight gain. Just remember one thing, you are powerful, and you can achieve anything that you want to. And weight gain is just another problem that you can overcome by working on it. So, don’t delay, start today. If you have any questions, please leave a comment in the box below.